Barley is a wonderful cereal which is not usually used in everyday cooking. These wonderful grains is a great source of protein,iron and fibre and i started cooking with it since i heard lot about their nutritional value. Obviously i never forget to pick them whenever i go to a chinese store where this wonderful grain is cheaper when compared to our Indian stores. The weather is getting super dull here and yesterday i prepared quickly this wonderful,healthy,nutritious and super comforting soup by combining both masoordal and barley. I quickly prepared this soup through pressure cooking and this soup takes hardly less than 20minutes to get ready. Masoor dal with barley makes this soup a complete food, you can also add any vegetables to this soup to make it more healthier,however i went for just dal and barley. 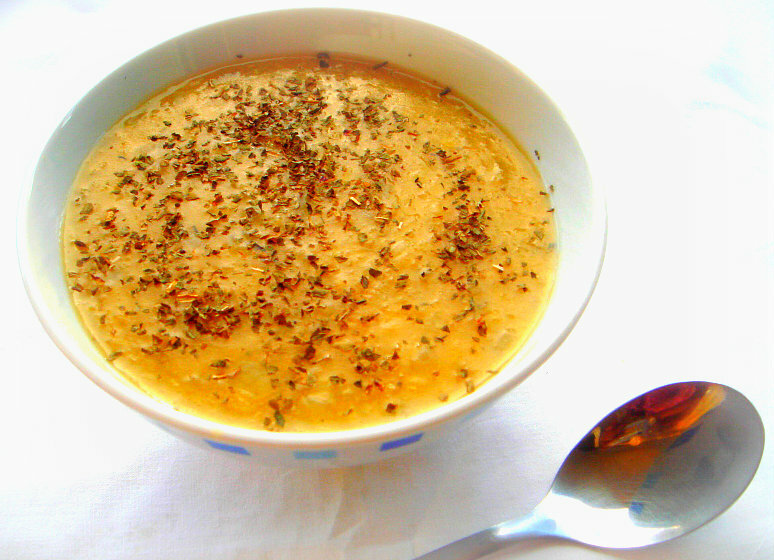 Sending this nourishing soup to my own event CWS-Barley guest hosted by wonderful Roshni. Heat enough olive oil in pressure cooker, add the garlic cloves and chopped onions and saute everything for few minutes until the onions turns transculent. Now add the soaked barley,washed masoordal,salt,pepper powder,dry thymn leaves and saute for few seconds, add 5cups of water and pressure cook for 3whistles. Once the steam get released, serve hot with few toasted bread slices. Barley addition in this soup has made it very nutritive. Love the colour and the yummy soup. Great going Priya. very versatilee priya...will try this..
very healthy soup !! so interesting one !! so healthy and delicious!!! very comforting soup! I love barley and this one should be a warm soup! Very creative and yummy soup.. Delicious and healthy soup from Priya. Love it. This soup is warming,energetic and refreshing for sure..What a combo ! Nice combo..healthy and delicious..love it. I always have barley in sweet desserts, this looks wonderful! wow priya...perfect... thanks for making this for the event... i did not know that soaking for an hour is enough. i always soak overnight... what kind of barley do you use? is it pearl barley? The soup's healthy and nutritious! Lovely colour as well! such a nutritional n healthy soup,perfect for chill weather!! Barley with dal, never even thought of this combo Priya! your recipes are truly amazing dear. am your 1066 follower ! Looks so healthy...mind if I have some? Hi Priya..Nice combination of Barley and masoor daal. must give a try soup!